Thanksgiving is here once again...a day when many of us sit together with family and friends to give thanks for all the blessings and the same time, enjoy a wonderful meal. 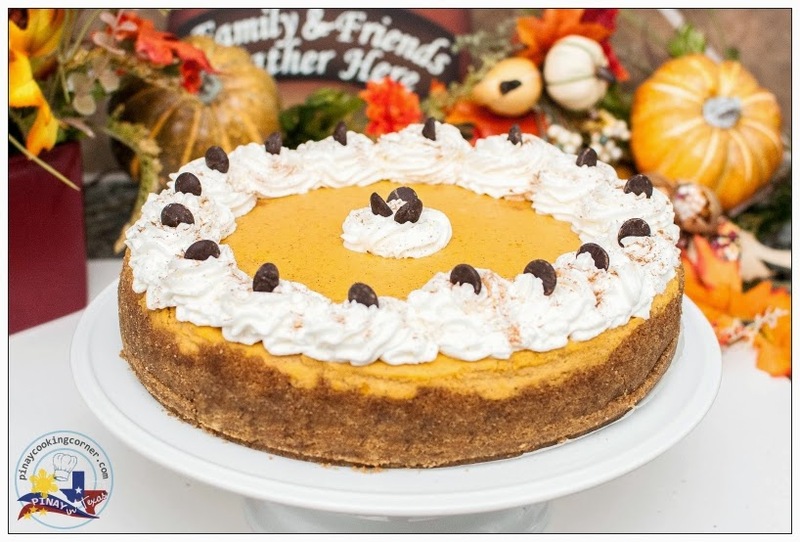 Whether you're celebrating at the comfort of your own home or at someone else's house, this Double Layer Pumpkin Cheesecake will surely add delight to your celebration! 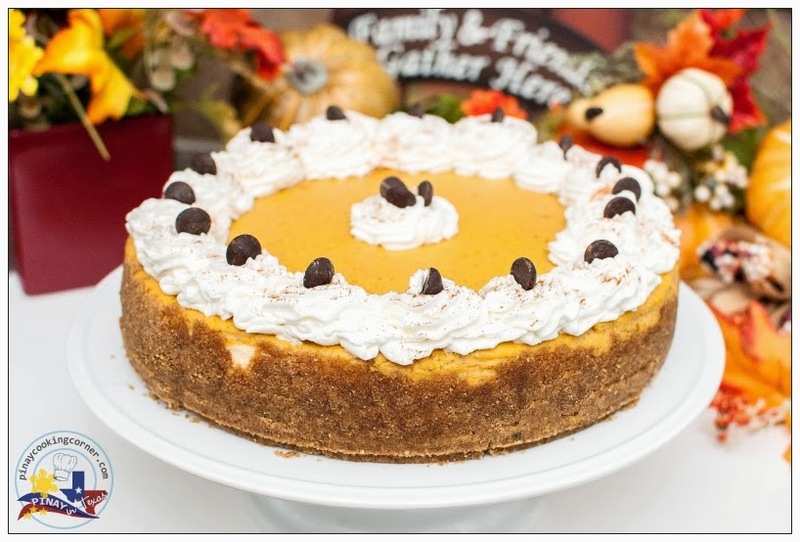 This combines the goodness of cheesecake and pumpkin pie in one gorgeous and tasty treat, and will truly give you another reason to be thankful! 1. 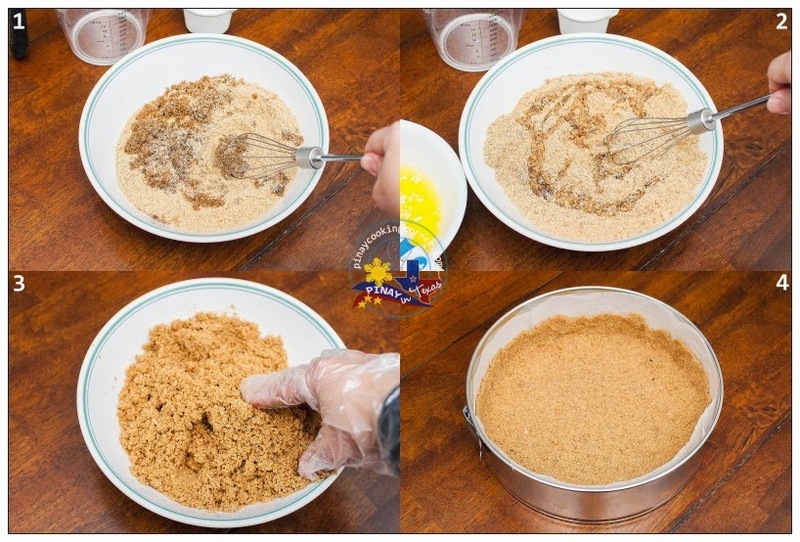 In a bowl, mix graham cracker crumbs and sugar until well combined. Add butter, 1 tablespoon at a time, and knead with your hand until mixture sticks together. 1. Preheat oven to 325°F. In a bowl, beat cream cheese, sugar and vanilla until well blended. Beat in eggs, 1 at a time, just until blended. 2. Pour about 2/3 of the cream cheese mixture into the prepared crust. 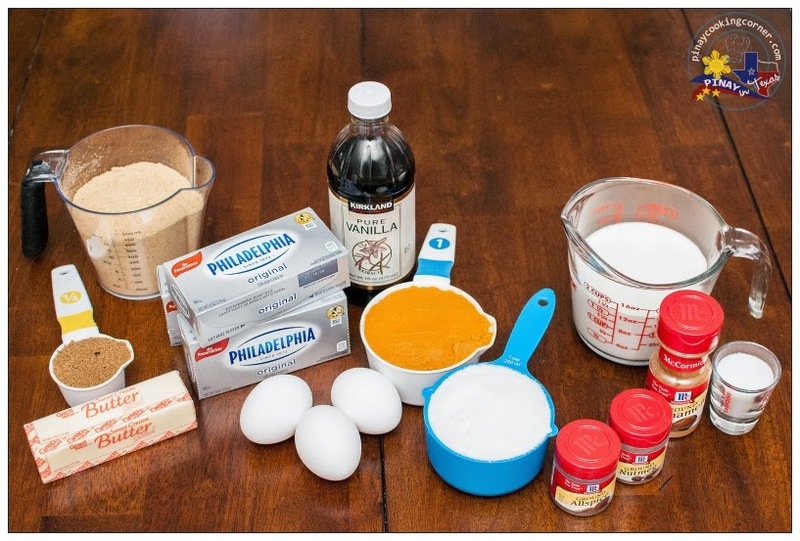 Stir the pumpkin and spices into the remaining cream cheese mixture in the bowl. Mix until well blended. 3. 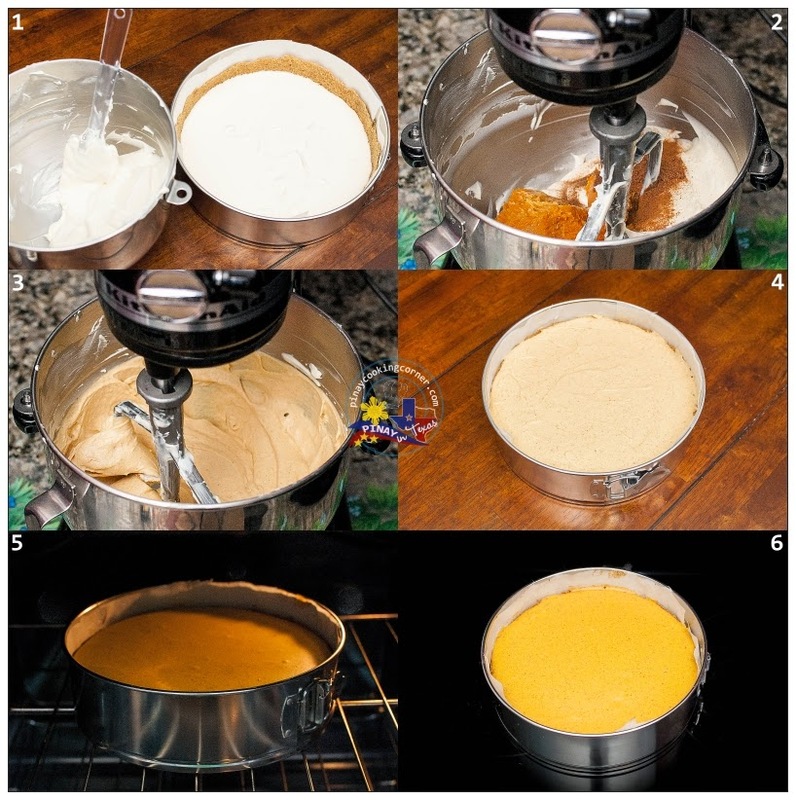 Pour flavored cream cheese mixture on top of plain cream cheese mixture. Bake in preheated oven for 45-50 minutes or until center is almost set. Turn off the oven. Open the oven door 1-inch, and let the cake cool in the oven for about an hour. This will prevent the cheesecake from cracking and sinking. Remove from oven. Allow to cool down completely. Cover the pan with foil or cling wrap then refrigerate for at least 4 hours. 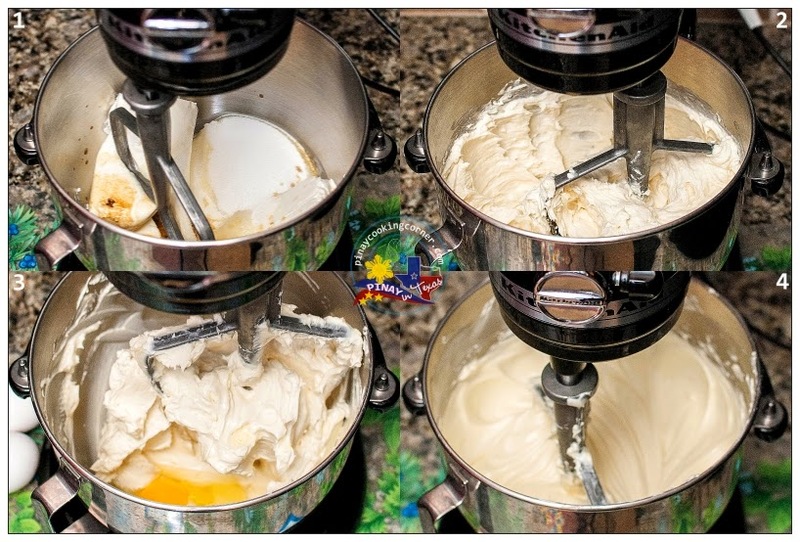 In a bowl, whip cream and 4 Tbsp sugar on high speed using whisk attachment of mixer until soft peaks form. Set aside. 1. Take the cheesecake out of the refrigerator. Put pan on a serving plate. Open the springform latch and gently open the pan and lift up the sides. 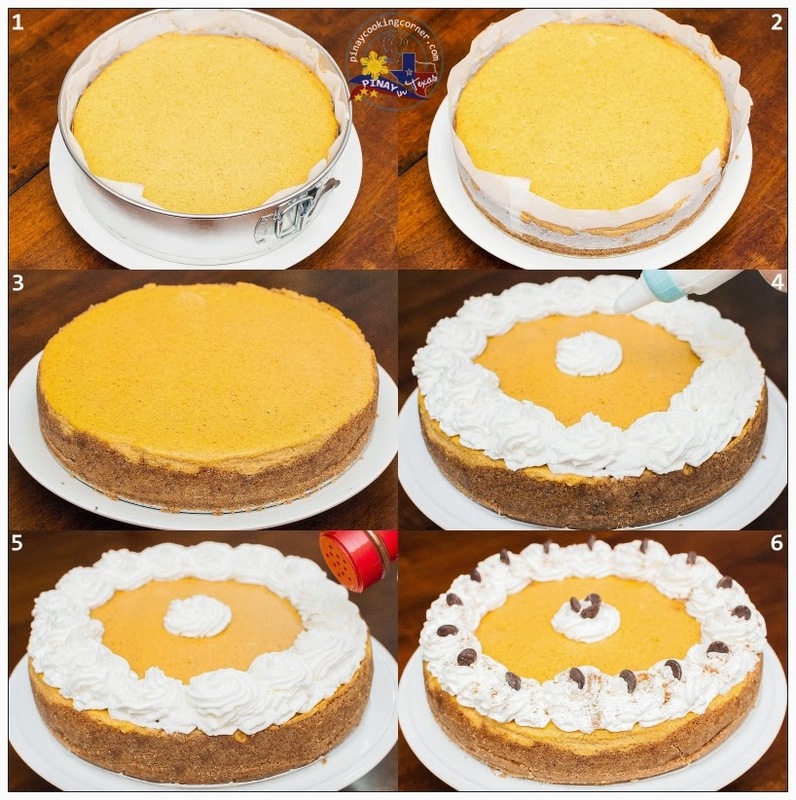 Gently slide the cheesecake off the bottom of the pan then carefully remove the parchment paper from the sides of the cheesecake. 2. Put whipped cream in a piping bag. Pipe rosettes all the way around the top of the cheesecake. Sprinkle each rosette with cinnamon powder. Top each rosette with chocolate chips (optional). Refrigerate until ready to serve. 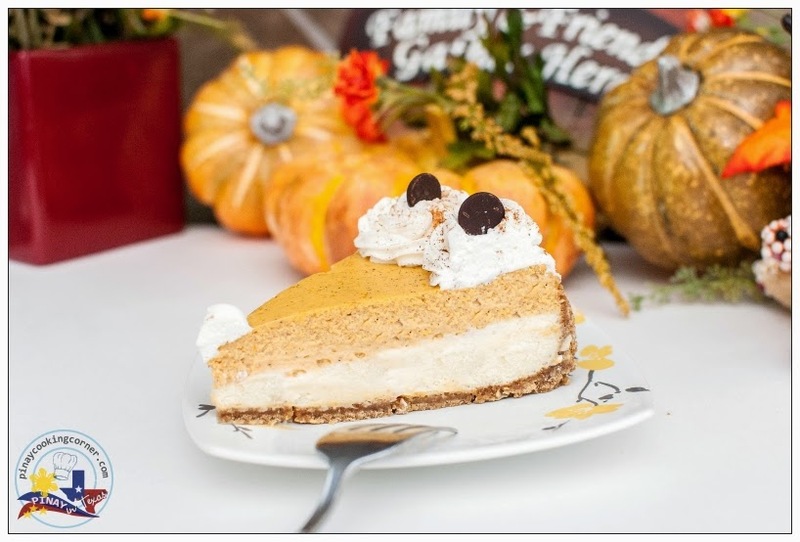 Ohhh, I love pumpkin! This is a must try!